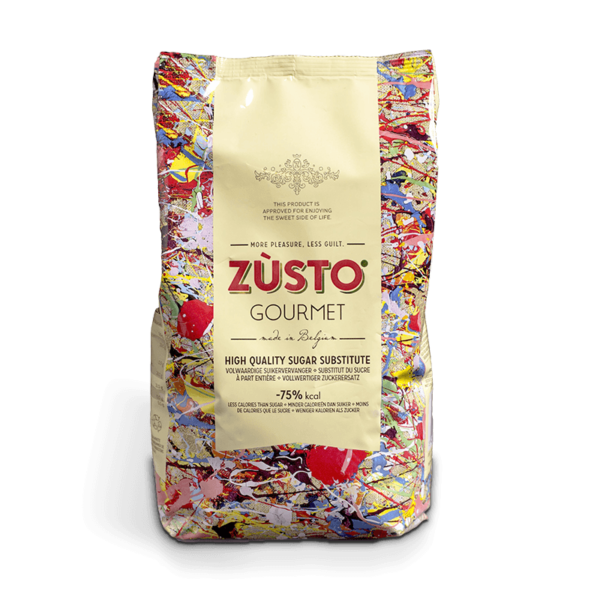 Zùsto exists mostly of diatery fibers from corn and chicory. Those fibers deliver the sweet taste and structure of traditional sugar, but also strengthen the good health and well-being. This means that up to 99% of the Zùsto ingredients lower the blood sugar level when used as sugar, which makes Zùsto the perfect solution for Diabetes. Zùsto is supported by a scientific board of professors at the universities of Brussels and Ghent, Belgium. Eric, Ice Cream Chef at Charlottes Jersey ice Cream Parlour.